Under 26 U.S.C. § 6532(a)(1), a taxpayer generally may not wait longer than 2 years from the issuance of the IRS’s disallowance of the administrative refund claim to bring suit. The lone exception contained in that statute is in subsection (a)(2), titled “Extension of time,” which provides that the “2-year period prescribed in paragraph (1) shall be extended for such period as may be agreed upon in writing between the taxpayer and the Secretary [of the Treasury].” That extension cannot be given by ordinary IRS employees and is not done inadvertently by the IRS – there would be an express written consent form signed by someone with delegated authority in the IRS. Following the reasoning of the Supreme Court in United States v. Brockamp, 519 U.S. 347, 117 S. Ct. 849, 136 L. Ed. 2d 818, courts have held that the time limits set forth in 26 U.S.C. § 6532 are jurisdictional prerequisites. See Garrett v. IRS, 87 A.F.T.R.2d (RIA) 1975, 2000-2 U.S. Tax Cas. (CCH) P50,555, 2000 U.S. Dist. LEXIS 10704 (C.D. Cal. 2000), aff’d in unpublished opinion at 8 Fed. Appx. 679, 2001 WL 399490 (9th cir. 2001); RHI Holdings v. United States, 142 F.3d 1459, 1461-1463 (Fed. Cir. 1998). Since Brockamp, courts have uniformly held that the two year time limit provided by section 6532(a)(1) is not subject to tolling under equitable principles, including the doctrine of equitable estoppel. The rule that the time for filing suit under section 6532 cannot be extended by non-statutory equitable principles is bolstered by paragraph (a)(4) of the section, which provides, “Any consideration, reconsideration, or action by the secretary with respect to such claim following the mailing of the notice by certified mail or registered mail of disallowance shall not operate to extend the period within which suit may be begun.” “This language explicitly prohibits equitable considerations based on the actions of the IRS after a notice is mailed.” RHI Holdings, 142 F.3d at 1462 (relying on the rationale of Brockamp, 519 U.S. at 350-351, that a “statute which sets forth its limitations in a highly detailed technical manner… cannot easily be read as containing implicit exceptions”). 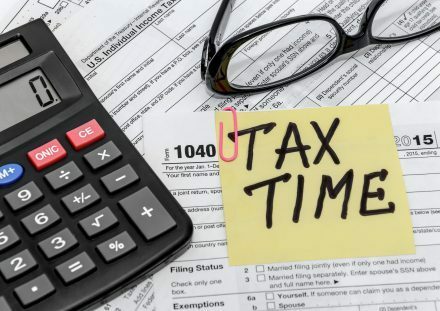 “In United States v. Brockamp, the Supreme Court addressed the following specific issue: ‘Can courts toll, for nonstatutory equitable reasons, the statutory time (and related amount) limitations for filing tax refund claims set forth in § 6511 of the Internal Revenue Code of 1986?’ Id. at 348, 117 S. Ct. 849. The Supreme Court answered that question ‘no’ because Congress did not intend equitable doctrines to apply to the time limits of 26 U.S.C. § 6511.” Danoff v. United States, 324 F. Supp. 2d 1086, 1099-1100 (C.D. Cal. 2004), aff’d in unpublished opinion at 135 Fed. Appx. 950, 2005 U.S. App. LEXIS 12319, 95 A.F.T.R.2d (RIA) 2896, 2005-2 U.S. Tax Cas. (CCH) P50446 (9th Cir. 2005). In light of the above, taxpayers should make sure the 2-year deadline from rejection of their claim is calendared and not missed. Daniel W. Layton, the author of this post, is a former Federal prosecutor in the Los Angeles U.S. Attorney’s Office’s Tax Division and a former IRS trial attorney.